Hi Crafty Friends! I hope you’re having a magical day that has put you in the mood for an enchanted card. For today’s Colour Me! 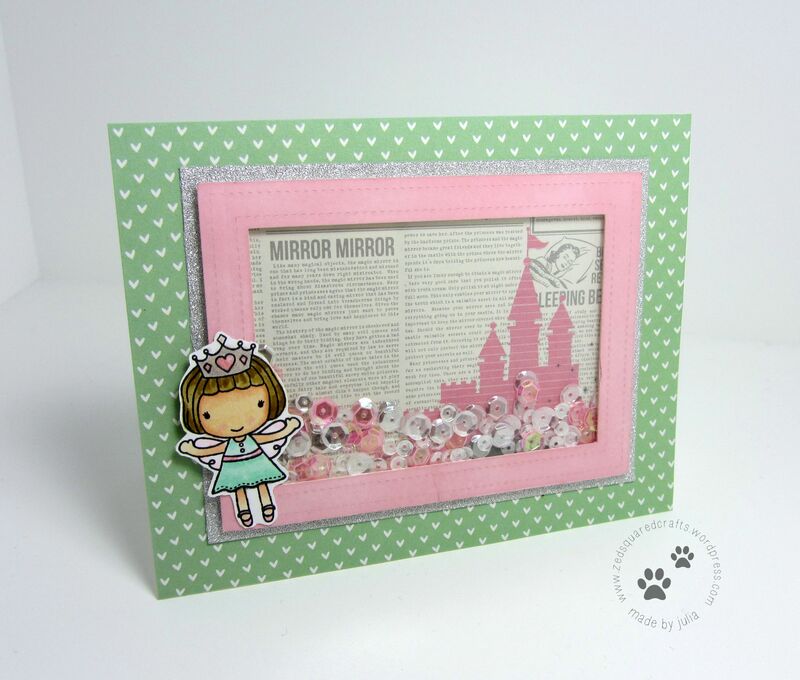 challenge post, I’m playing along with Team Hayley so my challenge was to create a project using mint, pink, and greige. The challenge colours this week reminded me of an enchanted princess so I just ran with that idea. As usual, I let my camera roll while I was creating so I have a how-to tutorial to share with you. You can watch the video below, or on my YouTube channel. Like I mentioned, the colours this week really reminded me of an enchanted princess fairytale. No princess fairytale is complete without some sparkle and shine, so I used silver glitter paper, as well as Pretty Pink Posh Sparkling Clear sequins to pull the whole card together. To be honest, once I finished the card, I thought I maybe went a little overboard with the princess theme, but I let it sit for a couple days and decided that while princesses maybe aren’t my thing, someone out in the craft-verse would enjoy it…right?! Hi everyone! 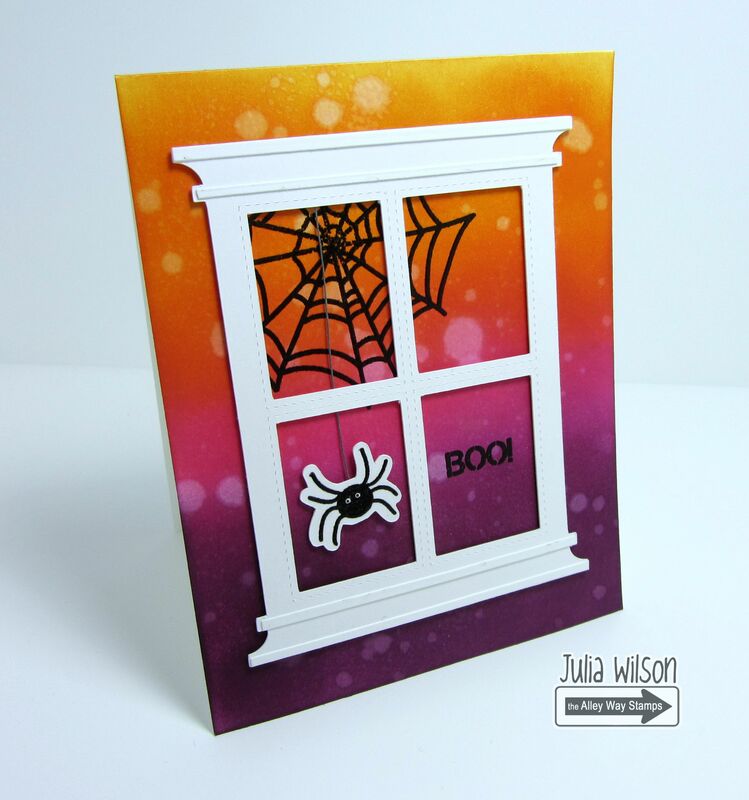 I’m back on the Alley Way Stamps blog and YouTube channel today to share another Halloween card. As always, I let my camera roll while I created my card so that I could share the process with you. You can watch the video below, or on my YouTube channel. I’ve challenged myself to create as many Halloween cards as I can with this single stamp set. The Ghoul-Friend stamp set is one of my all time favourites because of the wide variety of stamps that are included in the set. There are plenty of wriggly critters, haunted creatures, and of course delectable sweets. I cut my window shape from Silhouette Studio and then added some thinly trimmed strips of paper to add a little bit more detail. For my spooky background, I combined three colours of Distress Ink, and then added some water droplets for extra effect. Once my background was dry, I stamped and clear embossed both the spider, and his web. The love that the spider isn’t affixed down, so he can still move around on his string. My two year old nephew seemed to particularly like the crawling the spider as well. Until next time, happy haunting! Hello my crafty friends. Welcome to another Colour Me! post. This week the challenge is to create a project using four colours: turquoise, salmon, green, and mustard. For my project, I recreated a card that I made for my Dad’s birthday last week. I wanted to showcase a unique way to use your Spectrum Noir alcohol markers to create an almost watercoloured look. As usual, I let me camera roll as I created the card so you can watch the how-to video below, or on my YouTube channel. I mentioned in a blog post last week that I have been obsessed with using stitched oval frames on my cards recently. For me, they are just a classic window into a story. I create my frames using my Silhouette portrait machine. If you don’t know how to add the stitched detail in Silhouette Studio, I have a YouTube tutorial that you can watch here to learn how. Welcome! Today I’m on the Alley Way Stamps blog sharing a how-to video using their adorable Halloween stamp set, Ghoul-Friend. I created a floating shaker card. The basic idea, is that the shaker is suspended in between two layers so it looks like it’s floating. 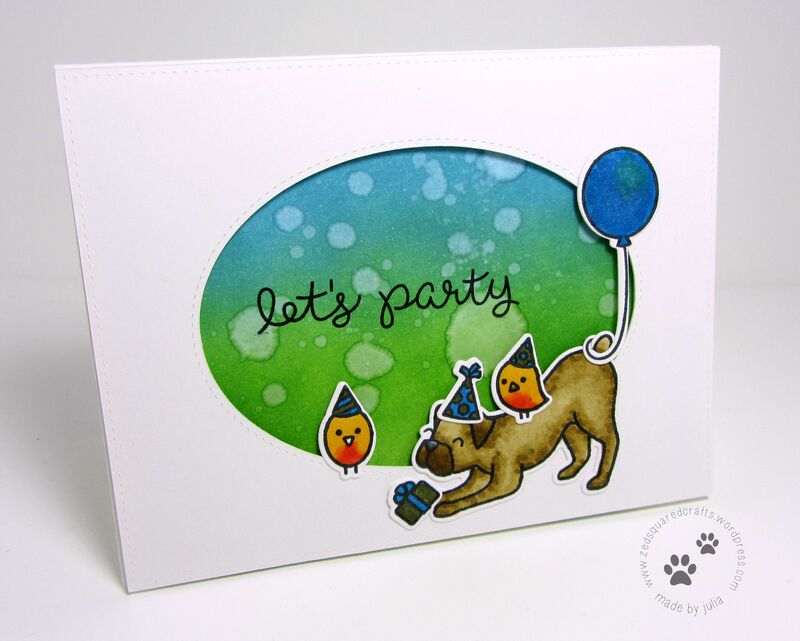 You can get a better look at the card by watching my YouTube Tutorial, below, or on my channel. I’ve been on a total oval binge lately. I feel like 90% of the projects I create these days, start at my computer in Silhouette Studio where I’m setting up a stitched oval cut file. To me, ovals kind of feel like a window into a story. For this card, I knew I wanted to try a floating shaker idea that I’ve been contemplating for a while. I’m so happy that it turned out well and that the sequins do really look like they’re floating when you shake the card! Also, I think the charcoal glitter paper is the perfect finishing touch for a glam Halloween card. Hello, my beautiful crafty friends! 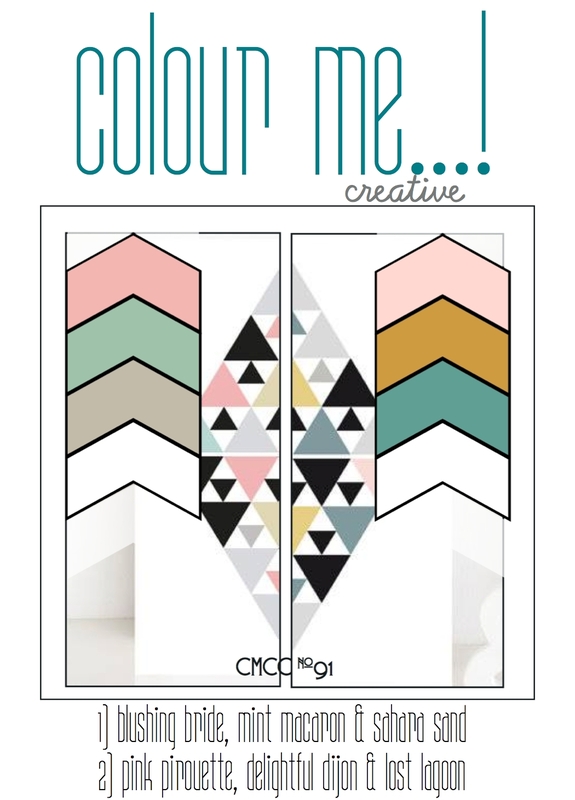 It’s Wednesday so that means it’s time for more Colour Me! fun. This week the challenge is to create a project using turquoise, teal, and green. 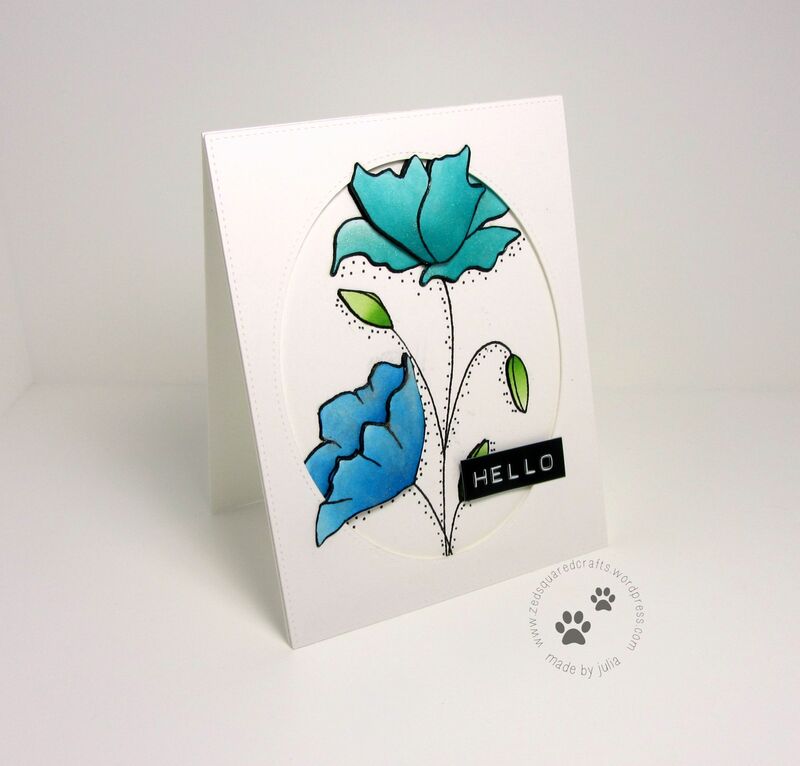 For my card, I used the Penny Black stamp, Divine, and my Distress Inks to colour the images. Of course I let the camera roll as I created the card so that I can share the how-to video with you. You can watch the video below, or on my YouTube channel.